Music Consultant Hal France and Producing Artistic Director Susan Clement Toberer are "Live & Local"
Inspired by the true events surrounding the controversial 1923 Broadway debut of Sholem Asch’s God of Vengeance—a play seen by some as a seminal work of Jewish culture, and by others as an act of traitorous libel. 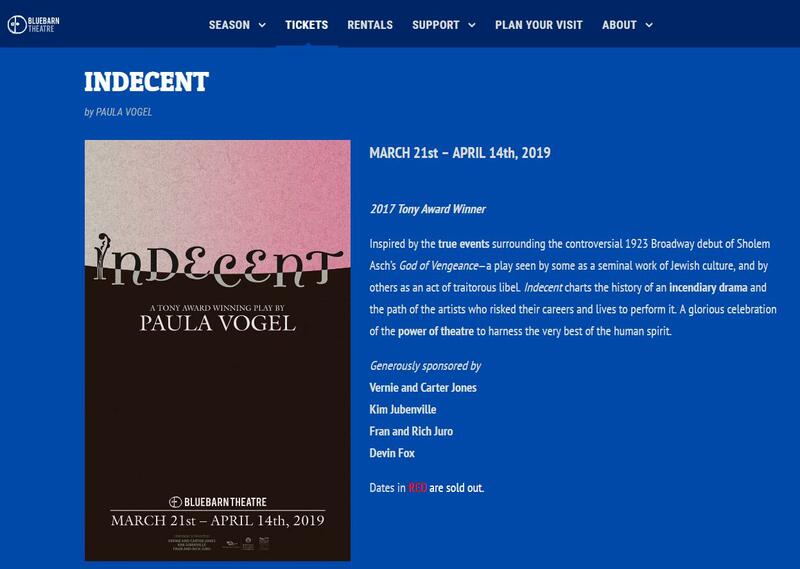 2017 Tony Award Winning play Indecent charts the history of an incendiary drama and the path of the artists who risked their careers and lives to perform it. A glorious celebration of the power of theatre to harness the very best of the human spirit.